It has been 17 years since the band "Jars of Clay" released their Much Afraid collection of songs. The album was influenced by the fact that band members had read Hinds' Feet on High Places by Hannah Hurnard. The following quote introduces the concept that Love and Pain go together. 3 Words and music by Dan Haseltine, Stephen Mason, Matt Odmark, and Charlie Lowell, copyright Essential Records, 1997. I was 12 years old in September of 1972. I remember the 28th day of the month, Junior High School for me, but no school work was done that day. Canada had won three games in the international hockey Summit Series against the USSR, a union of soviet socialist states anchored by the republic of Russia. The soviets had won three games and one game had been tied. The winner of this game took the 8 game series. This happened at the height of the Cold War. The USSR was viewed as a serious threat to Canada's way of life; and the USSR and the USA had sufficient nuclear weapons to obliterate the earth many times over. So, a great deal of patriotic pride was riding on this game. The school, with a total population of about 250 students had 4 televisions. I remember being in a room with about 50 students and teachers huddled around one of these TVs. The series ended, as most Canadians know, with a goal scored by Paul Henderson in the last minute of the game (34 seconds remaining) to end a 5-5 tie. It was, and continues to be, a great moment of Canadian pride. Since then, Canada has enjoyed much success on the international hockey stage and the way we watch these competitions has changed dramatically. On Friday, when Canada took on the USA in the Olympic semi-final match, I watched it with one other person at the laptop in my office. In other parts of the building people were watching it by themselves on computers or smart-phones. Work production definitely took a dip during that game but it was different than the 1972 series. Now, technology allows us to attempt to do some work while we watch the game. Now, we are much more apt to watch a game alone or with just a few people. We have so many more devices on which we can watch the game. We still have televisions but we also have phones, tablet computers, laptops, desktops, digital PVR, and internet television systems. Tomorrow the Canadian men will play for the gold medal against Sweden. The game starts at 7:00 am EST, 5:00 am MST, and 4:00 am PST, and people will be awake in each of these time zones watching the game. Some will gather in public places like bars, restaurants, and coffee shops. (The province of Alberta has created a special allowance for bars to open and serve alcoholic beverages at 5:00 am.) Others will gather with family or friends in their homes. The mood will be one of anticipation, much like the mood on September 28, 1972, the outcome is unknown, but the technology will unquestionably be different. There is an interesting article at Science News about ancient footprints found in petrified mud in England. According to the explanations presented in the article, some ancient ancestors of humans walked through the mud at least 780,000 years ago, and the footprints stayed in that mud and were protected from erosion for many years until the moisture was slowly extracted out of the mud and it solidified into rock. Footprints even older than this have been discovered in Tanzania (3.6 million years old) and Kenya (1.5 million years old). I find such discoveries fascinating. There has been much conversation lately about certain celebrity debates on questions of creation and evolution. As an aside, I would suggest that we could have much better debates, conversations, and discussions if we found two philosophers, or two scientists, or two theologians with different perspectives on the issues and listened to a respectful conversation on the topic. But, we live in an age of celebrity where we would rather hear from television celebrities than hear from the best minds on any given subject. When we read articles like this in Science News, what should those of us who seek to understand the universe from a theistic perspective do with this information? There are a few ways that we can explain this. Some, who hold to a young earth creationist perspective, will suggest that the world-wide flood described in Genesis 6-8 of the Jewish and Christian Bible disrupted the layers of sediment, rock, mud, and all land on the earth such that footprints like these actually represent people who walked the earth much later in history; say 6000 years ago. The problem with this argument is that, as we look at the geological structures of the earth, we see that typically the evidence of the most primitive cultures with primitive tools and primitive social structures is found in the lowest levels of geology, right where science predicts the evidence to be. Can we seriously say that footprints like this were moved around by a world-wide flood and others were not? On what logical basis would we make these sorts of pronouncements? The reasoning here is that our universe is not truly old, it only looks old. God created it such that it looks old. Beams of light from stars a million light years away were presumably created already en route. I find this more compelling than other young earth arguments; yet, it is not quite satisfying. It requires that God put footprints, bones, and archaeological artifacts in the ground from beings that never truly existed. It is not impossible. It is also possible that God created the universe yesterday and all of the memories we have from years before were created intact in our brains. Philosophers speak of such theories. Albert Mohler is a great spokesman for an intelligent young earth theory and I respect him even as I disagree with him. A third solution for those of us who wish to understand both science and a creator God is to allow that God used an evolutionary process to create the universe, planet earth, plants, animals, and human beings. From this perspective, God caused the Big Bang 13.7 billion years ago and he has been creating ever since. He created the sun about 5 billion years ago; planet earth about 4.5 billion years ago; he caused the first cellular life to appear on earth about 3.6 billion years ago; dinosaurs, 300 million years ago; mammals, 200 million years ago; early hominid ancestors of humans show up 2.5 million years ago; and Homo Sapiens, only about 200,000 years ago.2 It is a plausible and logical way of looking at things. It does require that we see the first few chapters of Genesis as a poetic description of creation rather than a scientific textbook; but then, most of us treated those chapters that way anyway. So, when I read of 800,000 year old footprints in the mud I can rejoice in a God who has been guiding a process for many millennia. I do not fear or argue with scientific discoveries for they do not threaten my understanding of an amazing creator God. 2 Wikipedia has a nice timeline of these estimations at http://en.wikipedia.org/wiki/Timeline_of_evolutionary_history_of_life. This star was formed shortly after the Big Bang 13.7 billion years ago . . . . It's giving us insight into our fundamental place in the universe. What we're seeing is the origin of where all the material around us that we need to survive came from. Simply put, the Big Bang was the inception of the universe, he said, with nothing before that event. The next question someone should have asked is, "What data in this research gives you confidence to say that there was "nothing before that event?" What information gave them the ability to speak philosophically and speak about things that came before time, before energy, before matter? Now, I hasten to say, this was an off-hand comment and if someone had pressed the astronomers they likely would have quickly retreated from the statement and said that they were speaking of commonly held beliefs or speaking only about how there was nothing physical before this event. I am sure that they are reasonable men. Yet, the combination of the reporting by the CBC journalists and the statements made by the researchers leaves the overall impression that scientists can be philosophers and can speak authoritatively on what came before the Big Bang. When scientists do so, they speak beyond their knowledge. There are other places to go to discuss what existed before the beginning of our known universe. Genesis 1:1 in the Christian and Jewish Bible says, "In the beginning, God . . . ." You see, we can look at the stars and, like these astronomers, see ourselves as small and insignificant in the universe; or, we can look at the stars and, like David in Psalm 8, see that we are small, yet significant in our relationship to God. David says, "what are mere mortals that you [God] should think about them, human beings that you should care for them?" Yes, compared to the universe, compared to God, we are small and seemingly insignificant; but, God thinks about us, cares for us, and gives us significance. We are not the only intelligent beings in the universe. Before the universe was made, whether you believe it was made 6000 years ago or 13.7 billion years ago, God was there. A psalm of David, to be accompanied by a stringed instrument. 1 O Lord, our Lord, your majestic name fills the earth! Your glory is higher than the heavens. and all who oppose you. and everything that swims the ocean currents. 9 O Lord, our Lord, your majestic name fills the earth! Now that researchers have sequenced the first human genomes and several large mammalian genomes, attention has shifted to looking at ancient people groups and mixed ethnic persons to see what genes code for the distinctions between different collections of people. The reality is that we have many more genes in common and many more common genotypes than those that make us different. In 2003, I left the Molecular Diagnostic Lab at the Alberta Children's Hospital to follow a call to start new communities of faith. For 13 years I had worked in the field of molecular genetics. My job as a Lab Scientist was to take the latest developments in DNA technology from the realm of research to the world of clinical diagnosis. We served families with genetic disorders throughout Southern Alberta and across Canada (DNA samples came into our lab from as far away as Newfoundland and Labrador). We also performed forensic analysis for the RCMP before they developed their own forensic lab in Edmonton (with some of the staff from our lab). Although we had other molecular techniques available to us, DNA sequencing was always one tool in our analysis of human genes. "Sequencing" is where one moves the DNA through various media to separate it into smaller and smaller pieces until finally it is possible to determine the order of the base-pair components in a short string of DNA. The goal is to be able to "read" what an individual person's DNA constituency looks like at any particular place in their genome. 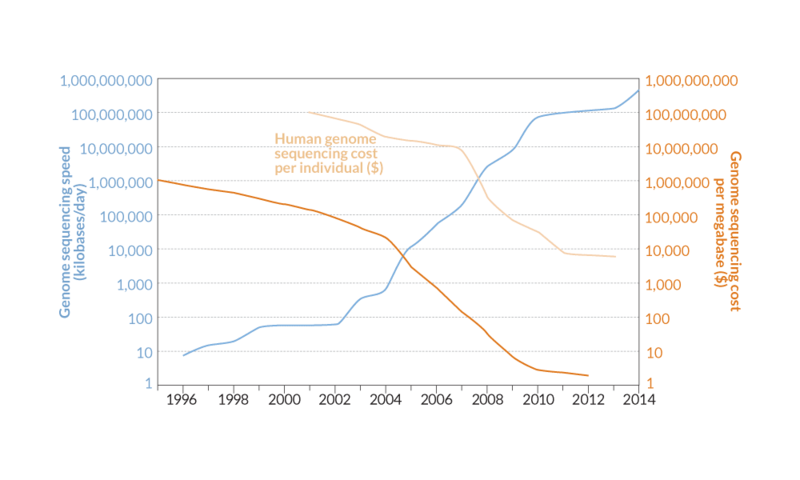 In the late 1990s we could sequence two breast cancer genes in about three months. Analysis of the sequence code was done as the sequences came off of the sequencing machine. One scientist made this her full-time work to accomplish the sequencing within this time-frame. This was considered state-of-the-art technology and analysis at the time. This was time-consuming work and prone to human error due to the long hours of eye-strain looking for small differences in peaks and in the colours of waves. About that time, I watched the movie Gattaca; I watched with a great deal of envy for how simple DNA sequencing was done in that dramatic story. In just a few minutes, at a drive through window, a technician would give a reading of all of the major genes related to the unique identity of a person. The quick sequencing revealed the person's intelligence, stature, eye and hair colour, personality, and many other significant traits. Of course it was just fiction; but, as a recent article in Science News shows, fiction is quickly becoming fact. As recently as the 1980s, scientists collected genetic data by laboriously tracking the diffusion of DNA molecules through slabs of gel. Now researchers stand by as machines gush billions of letters of DNA code a day, and struggle to cope with the data deluge. In fact, if you had $30,000 and a few days for someone to work at it, you could probably get the sequence of your entire genome; not a bad price. Of course, if you were foolish enough to print out the string of code, it would cost you considerably more for the 1.2 million pages of paper and ink. Then, there is the data analysis. Still, we are getting closer to a Gattaca-like future. Will our ethical conversation catch up to the technological advances? Not likely. Technological developments such as these are behind the ability to compare the Neanderthal, Denisovan, and Homo Sapien genomes in detail.2 The computers which crunch this data can also crunch the statistics that allow us to make observations about population genetics. This is the stuff that allows scientists to make estimates of how many humans were around at any point in history. The science suggests that there were never less than a few thousand humans alive at one time. As we seek to understand scientific advancement in a world that moves forward at an ever faster rate, it will take piety and sincere listening for the voice of the Holy Spirit to continue to be a follower of Jesus, a science enthusiast, and member of the Body of Christ. May we continue to pursue these goals. What are the interruptions in my life right now? To what do I need to pay attention? What opportunities for growth are right in front of me? 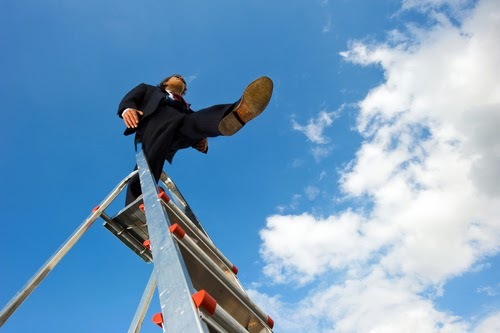 Will I pay attention or keep climbing the ladder? Covey, Stephen R. Seven Habits of Highly Effective People: Powerful Lessons in Personal Change. Simon and Schuster, 1989. Scazzero, Peter. Emotionally Healthy Spirituality. Nashville: Thomas Nelson, 2006. 2 (Scazzero 2006) sermon series. 1. Downhere, "Beggar Who Gives Alms," 2009. 2. Nouwen, H. (1979). The Wounded Healer: Ministry in Contemporary Society . New York: Image Books, p 82.